Chhath Puja or Dala Chhath Vrat is an important and popular ritual observed by people of Bihar, parts of Uttar Pradesh and Jharkhand in India and in the Terai Region of Nepal after Diwali. Chhath Puja 2018 date is given below in detail. The vrat is dedicated to Lord Surya and Lord Kartik. It is observed for four days in the month of Kartik (October – November). Chhat fasting, also known as Surya Sashti, is also observed in eastern parts of Uttar Pradesh and in some parts of Chhattisgarh, Madhya Pradesh and Bengal. Chhath vrat is dedicated to Lord Surya (Sun), Agni (fire) and Lord Kartikeya or Muruga. 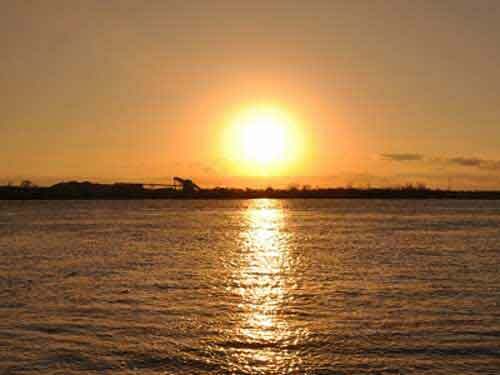 Why is Chhath Puja Observed? People undertake this Vrat for the well being of the family. It is believed that people get their wishes fulfilled, if they observe Chhath Puja. There is a popular belief that worshiping Surya will help in curing diseases like leprosy and also ensure longevity and prosperity of the family. The fast is mainly kept by women, in many places men also join in the ritual and observe fast. During the Chhath puja devotees cook food with dry wood on new oven made of brick and soil and the cooked food is ‘Prasad’ or offerings to Sun God. Garlic and Onions are not used during Chhath period. The first day of Chhath is dedicated to cleaning, preparation, and purification and is known as Nahai Khai. Thousands of devotees have an early morning bath in Ganga River on the day. The main food cooked on the day is rice, chana dal, Kaddu (pumpkin) and green gourd (lauki). Lauki is an important preparation on the day and therefore the cooking and the day is also referred as Lauki Bhat. Fast or Upvaas begins on the second day and this is referred as Kharna. The fast is broken after performing a puja at home in the evening. Kheer, sweets and fruits are offered to deities and then the whole family shares the Prasad. Another round of fasting begins after the prasad is shared. This fast is usually broken on the fourth day morning. A complete fast is observed on the day. On the third day in the evening, Chhath Sandhya Argh is offered. Devotees offer ‘Argh’ to setting sun (Lord Surya) along with ‘soop’ at a pond, seashore or riverbank. ‘Argh’ and ‘soop’ are offerings and consists of flowers, fruits, sprouted grains, dry coconut, sugarcane, white radish, sweets and khajuri. An important offering on the day is a dry sweet known as Thekua. The offering is made to Surya by standing in knee-deep water. In the evening pujas are performed at home and a special puja is done for Agni – fire god. This puja is performed in a special area cordoned off by four sugarcane sticks. On the fourth day morning, Chhath Sooryodaya Argh is performed. Devotees repeat the rituals performed on the third day evening for rising sun. What is left after offering to Lord Surya is shared as Prasad and the Chhat Puja comes to an end.